Over 200 African athletes, coaches, journalists and officials who traveled to Australia for the Commonwealth Games have refused to return to their home countries, seeking asylum in Australia. Some of the athletes went missing in between the Commonwealth events while others did not show up at all for their game. Among those missing were at least six Ugandans and a Rwandan weightlifting coach, Jean-Paul Nsengiyumva, who disappeared after saying he needed a toilet break while his athlete was competing. Also missing were Ernest Jombla and Yusif Mansaray, men’s squash players from Sierra Leone; both did not show up to their doubles match on April 12. 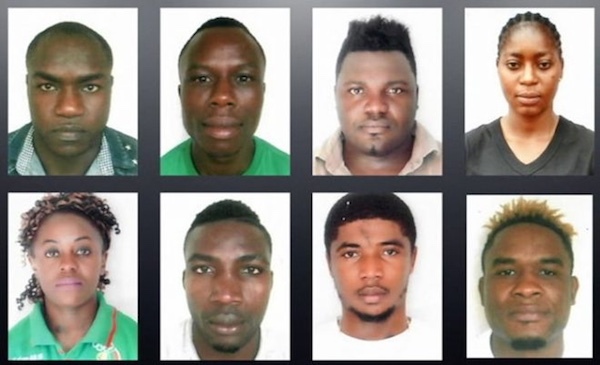 Five boxers and three weightlifters from Cameroon also went missing, which is a third of Cameroon’s delegation. At least two Ugandan athletes also vanished. The game ended on April 15th. Meanwhile, Australia’s home affairs minister announced prior to May 15th, that those who overstay their visas would be locked up. After that announcement, many of the missing athletes and officials resurfaced and started applying for refugee protection to enable them to stay and live in Australia. “More than 40 people, including Commonwealth Games athletes, journalists, and others, have come in over the last 10 days looking for visas they can apply for and how they can stay in Australia,” said Jim MacAnally, an office administrator for Ready Migration. In the meantime, about 50 others who have officially overstayed their visas by May 15th are still unaccounted for. Australian officials are presently on the lookout for them.